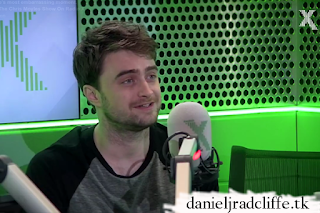 Daniel was a guest on Radio X's The Chris Moyles Show this morning in promotion of his new films Swiss Army Man and Imperium. Below a clip in which he talks about his most embarrassing moment. If more footage appears I'll add it. Update: 23rd September 2016. Audio from the podcast below.